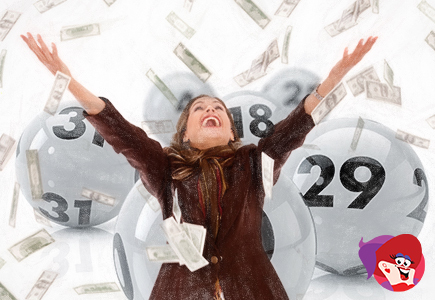 If you're reading this, you're wanting to maximise your chances of winning online bingo, right? There's nothing worse than being pipped to the post and not winning for days on end and sometimes weeks on end - but there are a few things you could be doing to tip the odds in your favour! 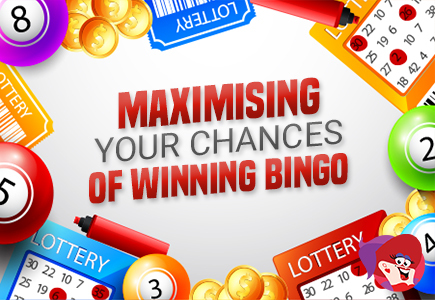 All reputable bingo sites use RNG's (random number generators) to determine the outcome of the games, so unless you have the keys to this high-tech piece of software, winning is not a guarantee, but playing sensibly and recognising where there are increased winning opportunities will help you in your quest to calling house! 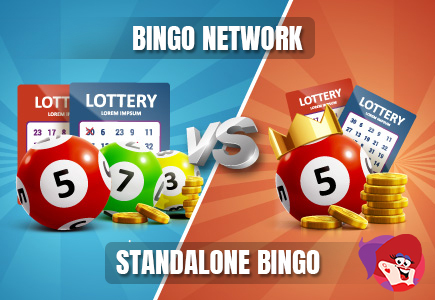 What's the Difference Between Standalone and Network Bingo? tandalone bingo sites and networked bingo sites are two completely different entities; but what makes them so different and which is the best? The answers to these questions (and more), will be covered on this page, but in answer to the latter; only you can answer this. Bingo sites come in all different shapes and sizes, which is good because if we all liked the same thing's it would be pretty boring. 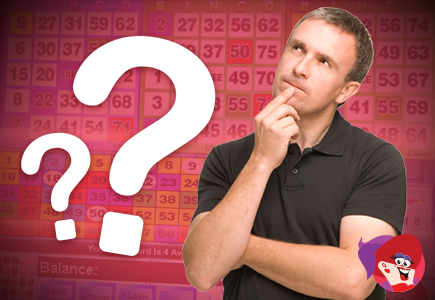 By now, you should know that bingo is a numbers game that requires players to match the numbers on their ticket before anyone else to win, but is it down to luck or is there an element of strategy involved? If there anything you can do to tip the odds in your favour? To try and answer these questions, I'm going to explore the history of bingo, bingo myths, bingo beliefs and the facts. 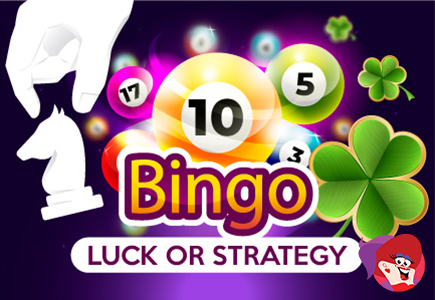 By now, you should know that in the word of online bingo, you won't only need to mark numbers off a ticket to win. Thanks to the inclusion of many different bingo variants and of course; slot games, playing bingo at home is more popular now than it's ever been and gone are the days where you'd have to get dressed up and head out to enjoy a game of bingo, because whether you own the latest mobile or tablet or a dated desktop or laptop computer, the joys of bingo and games can be accessed with just a few clicks of a mouse or a press of a finger! 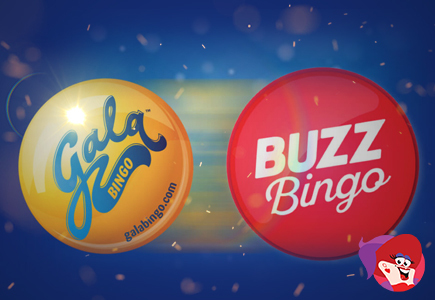 Gala Bingo is the UK's largest land-based bingo operator, with a total of 124 bingo clubs and more than 1.1million members to date, which means they claim 38% of the UK retail bingo market. 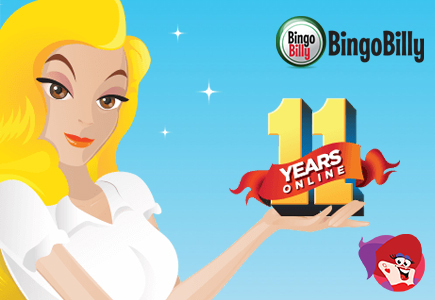 In 2006, many years after opening their high street bingo doors, Gala Bingo launched an online bingo site - one which initially ran on their own unique software. Technology has been progressing more rapidly than ever, and every time it introduces an aspect of everyday life in a digital form, people are forced to learn and adapt to the novelty. While some things have taken tech inventors much more time and effort to get the wider public's approval and acceptance, there are others which simply appear to have been made to exist in cyberspace all along. One such example of a rapidly adopted novelty in the world of modern technologies is the game of bingo. 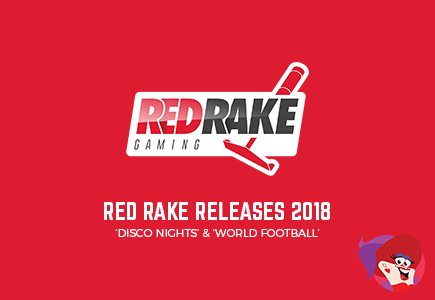 The gaming industry in the UK has been largely regulated by the UK Gambling Commission and its relevant provisions, resulting in clearly defined rights and responsibilities for everyone involved. Due to the massive expansion in recent years, many new platforms and gaming forms have come to existence, causing quite a variety of offerings. In order to cater to the needs of players for each segment separately, numerous land-based and online establishments have come to existence. 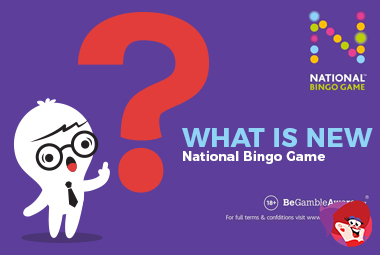 But when it comes to bingo in particular, it's up to the National Bingo Game Association to ensure that players are offered prime, never-ending bingo action. People used to toil away for days and months at a time, all to the purpose of drawing up a cartoon as much as drawing a smile on their viewers' faces. These products called for great design skill, patience and above all labour - even though there was no heavy lifting, cartoonists were constantly straining their brains over the next big idea. Digital design capabilities and tech advancements nowadays have turned this invaluable form of art into an animation, with the market saturation provoking a change to its core. Not only did topics become all the more exploited and wasted away, but people started doing it for purposes other than people's entertainment. Lotto-mania has swept across America like a raging tide -- especially when the jackpot climbs into the hundreds of millions of dollars. People ignore the odds and march down to their favorite neighborhood market or convenience store to buy a lottery ticket, hoping and praying it's the one that matches all the numbers. 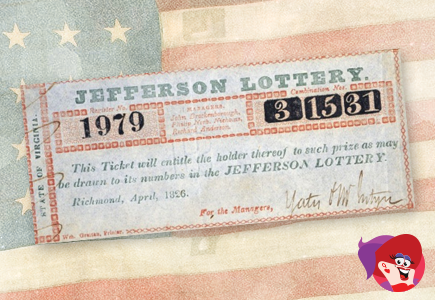 Governments reserve for themselves the right to sell lottery tickets, but it wasn't always that way. In 1776 when the Declaration of Independence was written, citizens could print and sell their own tickets and offer their home or other property as a lottery prize. This practice was quite prevalent during the era of Thomas Jefferson, Benjamin Franklin and George Washington. Who would have thought that the 80-year-old bingo lady stereotype was ever going to change, and all the more by the game itself? Bingo has always been a force to be reckoned with, and it is sure to start the reckoning when it seems fit. The game of bingo has managed to retain a constant presence in British society for quite a few centuries now, with the US following suit as soon as it got over its â€˜carnival phase'. While the late bloomer still had a long road ahead, UK bingo was long at its top destination - players in the UK were practically flooding over the bingo halls, especially since the 60s when cinema popularity reduced and theaters were left vacant. 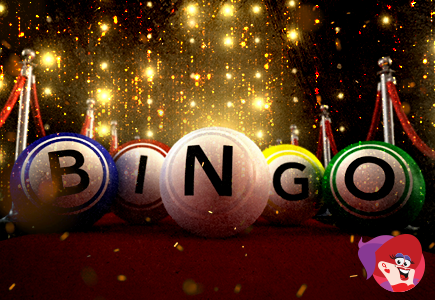 Bingo is one of the oldest games to have survived up until today's modern times. Many find the reason in its simplicity - all that players need to do is keep track of the caller and note the numbers in their cards until they get a winning combination. 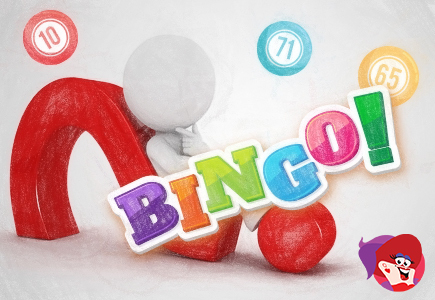 However, the other segment of the bingo-oriented population believes that it's the unique type of skill and the entertainment factor provided by it that have sustained bingo throughout the centuries. When talking about gambling, bingo is not the first type of game that comes to mind. It might not even be on option for most people. How wrong they are! 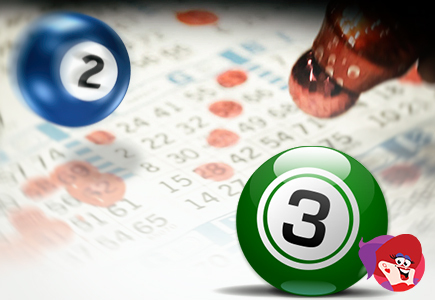 Online bingo is incredibly popular in certain parts of the world that have a thing for games of chance. 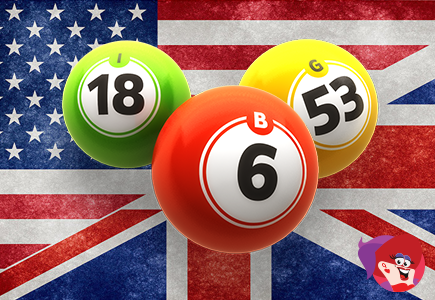 United Kingdom harbors a special love for numbered balls, so much so that it is threatening to surpass even their passion for sports betting. Expanding from bingo halls to the virtual realm, it used to be known as a favorite pastime for ladies, but now the genre has evolved conquering all demographics. s promised, another video bingo review is complete and you know this US-friendly brand well. 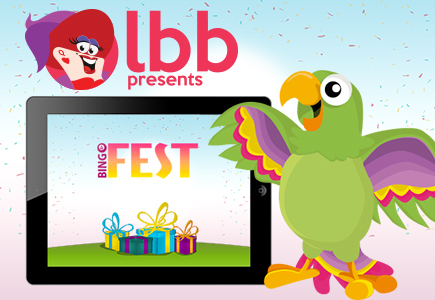 LBB presents a tour of Bingo Fest in a digital format designed to give potential players the look and feel of the lobby, bingo rooms, slots and table games. Before we get into the specifics, here's a little backstory for you. Bingo Betty insisted that she work on the video despite how drained she was after the last one. Just down the street from our apartment complex in Charleston, S.C. is a service station and convenience store. The girl who works days behind the cash register is Maria, a pretty native of Guadalajara, Mexico. She is rarely without a smile and is full of energy for her regular customers. 'Hello, Amigo,' she will sing out to me as I enter the store. 'Are you ready to hit the lottery and take me dancing?' Now I rarely play the lottery or the scratch-off tickets that are lined up next to the cash register. 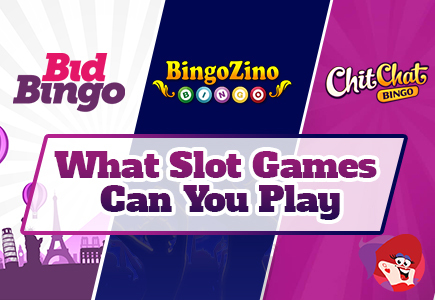 Wondering where bingo fits in with live games providers? 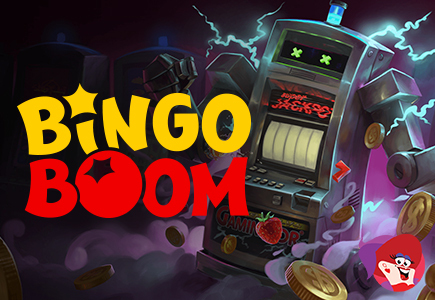 The crew behind the Russian software known as Bingo Boom has turned its attention to our favorite game. The result? A booming live bingo business. 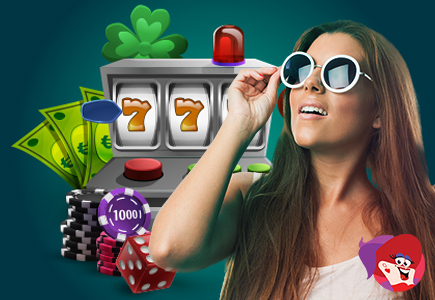 While not yet available on bingo sites, the company extends its reach on the casino side via several key partnerships with operators and content aggregators. Apart from bingo, the product range includes Keno Boom, Money Wheel and Lucky Line to name a few. Bingo Betty busted out the video software to whisk members off on a tour of Bingo Billy's http://www.latestbingobonuses.com/bingo-reviews/bingo-billy.html bingo rooms. While playing bingo, she got a bit carried away and went a little crazy playing all those games from BetSoft, Mobilots and Parlay. We found her face down on the desk last week from pure exhaustion - cans of red bull scattered everywhere. It took hours of editing, but our team managed to put together a fantastic finished product. So, if you've ever wondered what it's like to play there, or at this point, you're just curious to see what Betty got up to, we've got all the deets here. At some point in our life we have all heard someone yell 'Bingo!' and knew exactly what it meant. With the game's simple and easy-to-pick-up nature it is played by people of all ages and with its format, it is easily translated into an online game, which keeps it a big success in today's modern digital age. The sheer creativity of online sites takes the game to players that are completely different than the actual Bingo Hall visitors. ave you ever sat back and wondered why any gambler would play in fun mode when there is a whole online world filled with real money games? The answer seems obvious enough but in reality, it's a loaded question worth exploring. 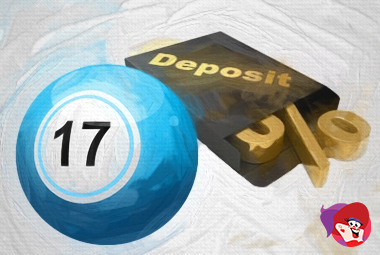 Whether you are a once in a blue moon depositing player or play on a regular basis, at one time or another you've experimented with free money games. 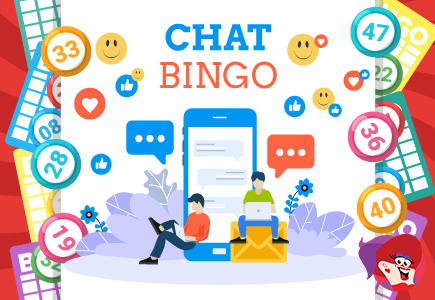 Online bingo portals are proficient in accommodating a full spectrum of players by understanding what is one customer's playing style is not necessarily another's.